OPPOSITION leader Belden Namah wants to repeal the Mining Act for the benefit of landowners in project areas. He recently told reporters in Bulolo, Morobe, that it was wrong for the Government to be the regulator and shareholder at the same time not only in mining and petroleum projects but in forestry, fishery and agriculture. He wants the law amended to stop that. Namah said the law was adopted from Australia where the State owned the land. He said this was not suitable for Papua New Guinea where the land was owned by the people. 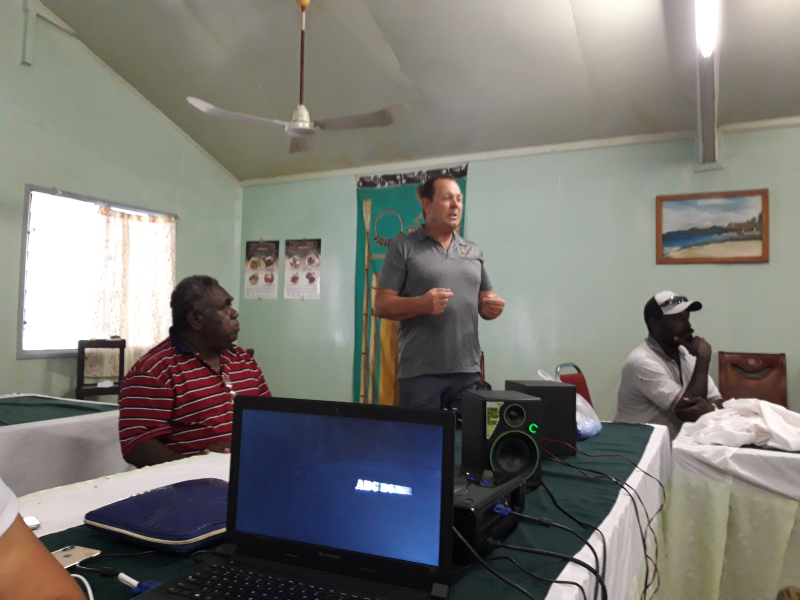 He said a good example was the state of Bulolo and other mining districts which had not seen any changes in the many years of mining activities. “When the Government takes up shares in the projects, it can’t be a fair regulator,” he said. “The Government is playing the role of the investment partner and regulator and I believe the entire Mining Act should be repealed. “I will push for the change in law so that the State should not be a shareholder in any major project. The State must only be the regulator and make laws and collect taxes. Only the landowner must partner the developer. The Opposition yesterday said it welcomes the historical lead taken by Ok Tedi Mine affected landowners to reclaim what has been lost or denied of them as landowners by the Government and the Ok Tedi Mining Ltd. The court action is a head start for affected land owners and communities around the country to getting justice through the courts against the Government and the extractive industry. He said by becoming a shareholder the government cannot be an independent umpire any more. “The glaring and shameful environmental disaster seen at the Bougainville copper mine and at Ok Tedi, are proof. “It is testimony of ignorance and neglect of people’s welfare by successive Governments of Papua New Guinea. “Our natural environment is destroyed beyond repair and our people’s dependence on the natural environment for their survival is completely gone,” said Mr Namah. He said the result is that the people are left vulnerable to life threatening problems such as hunger, diseases, poisoning and reduced economic opportunities. He said the second reason why the present system is stupid is because the system is lopsided, in that the benefits sharing favors the developers many fold over, than landowners and the Government put together. “The resources, which are by right owned by the land or resource owners and the state, is transferred to the developer at no cost, by way of the government granting a lease to the developer,” he said. Mr Namah said in the end, the total take for the government and people of PNG is negligible compared to what the investor takes out. “As a matter of fact, we are the biggest losers,” he said. “We devastate and lose our natural environment through pollution, we pay for a piece of what is already ours, and we get very little for what is God given. They say it aint over until the fat lady sings and the battle over the giant Ok Tedi Copper Gold mine in the Star Mountains of Western Papua New Guinea has taken another new twist. The Chairman of the Papua New Guinea Sustainable Development Program (PNGSDP), Sir Mekere Morauta today announced that the company has registered its dispute with the PNG Government with the International Centre for Settlement of Investment Disputes (ICSID). 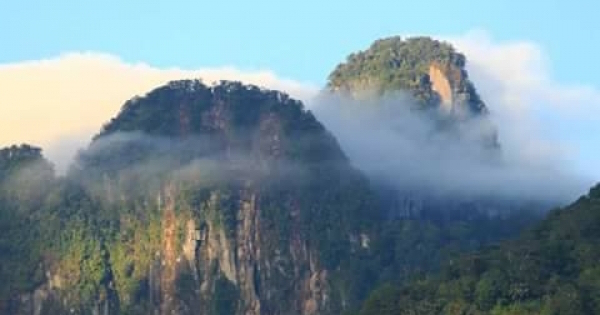 Sir Mekere said PNGSDP is seeking restitution of the 63.4 percent of Ok Tedi Mining Limited (OTML) illegally expropriated by the State, or failing that, compensation for the shares. “The State’s expropriation of the shares through the 10th Supplemental Agreement Act last year, without compensation, is in breach of international law,” he said. 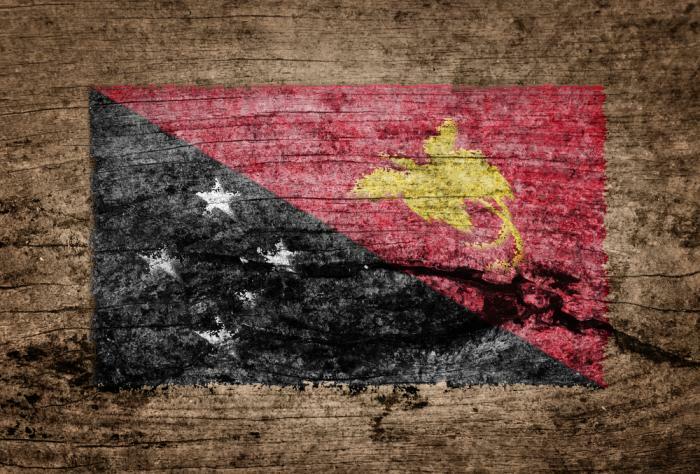 With the filing of the case with the ICSD, it is expected that a tribunal of three eminent international jurists will set up by the ICSD, in consultation with PNGSDP and the Government. The tribunal is expected to be set up by the middle of this year with hearings expected later. 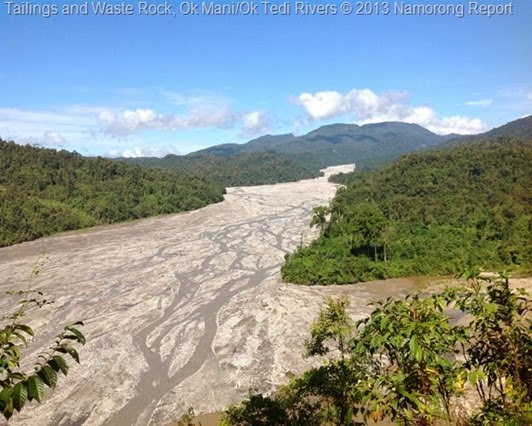 Meanwhile, Fly River landowners from the South Fly District of Western Province have successfully obtained a court order restraining OTML from dumping mine wastes and tailings into the Ok Tedi Fly River Catchment. The court also ordered the payment of K45 million to the landowners to fund independent scientific research into the health and environmental impacts of the Ok Tedi Mine and pay for legal costs. Despite the court order, it is understood that the Ok Tedi mine continues to operate as the court orders have not been served on the Tabubil Headquartered Company. The landowners actions have received support from the Opposition Leader Belden Namah. “This Court action is a head start for affected land owners and communities around the country to getting justice through the Courts against the Government and the Extractive Industry. Our reaction to the case before the National Court is this. We have adopted a stupid system where the state has got itself tangled up in Mining and Hydrocarbon developments as a shareholder as well as a regulator. When a government becomes an investor in a project, it places itself in a conflict of interest and easily compromises the interests and welfare of the people that it is supposed to protect or promote,” Namah said. Namah also took a swipe at Prime Minister O’Neill for comments made against the court ruling. “For the Prime Minister to say, “I hope the courts generally understand the consequences of the claims they are hearing. We don’t just rely on the courts to uphold the law; we rely on the courts to appreciate the consequences of their decisions and rulings”, is in effect suggesting to the Courts not to dispense justice but to support political and economic expediencies of government,” he added. In 2012, Ok Tedi Mining Limited had total net assets worth K2.6 billion. It’s Managing Director, Nigel Parker described the year 2013 as “just like a tiger”. Last year Ok Tedi suffered operational failures at its mill and mine pit and had to be closed for months on end. Parker also revealed that production for 2013 was around 100 000 tonnes of copper compared to 146 000 tonnes the previous year. Sales from Ok Tedi were also affected when a major buyer in the Philippines was affected by Super Typhoon Haiyan. Uncertainty brews over the future of the mine, once regarded as World Class copper gold producer. With mine life extension, there is expected to be a smaller mine however the expectations from its various stakeholders run higher than the mountain peaks of the Star Mountains. The mist that shrouds the mine located up in the cloud-lands of Western Province painting a rather ominous sign of the unpredictable path that lies ahead for the mine that underpins PNG’s economy. The Giant Ok Tedi mine in Papua New Guinea is still operating as normal because it is yet to be served formal court orders that were made by the National Court on Friday. Lawyers for the plaintiff have told the Post Courier they were having difficulties in serving the orders but they would be served today. The National Court ordered OTML to stop dumping waste into the Fly River system – a move that would effectively shut down the mine. The court also ordered that company bank accounts be frozen after allegations were made that money earmarked for local development had been misused. Meanwhile the opposition leader, Belden Namah, has hailed the court decision as a win for the landowners whose lives have been adversely affected by the pollution from the mine. He says the decision is a reminder developers must adhere to PNG’s environmental laws. He also blasted the O’Neill government for taking over OTML saying it was greedy. He says the state and the government should be independent and only play the role of regulator and tax collector.